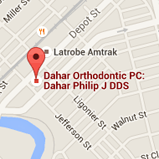 My goal is to provide my patients with the best possible orthodontic experience. A commitment to excellence has been a personal ambition of mine and my patients should expect nothing less. For the past 40 years I have had the privilege of practicing orthodontics and have experienced how a beautiful smile and the correct bite can completely change a person's pride and confidence. The backbone of my practice is dedicated to helping my patients achieve this result. Orthodontics has become more than just a job to me but rather my true passion in life. I obtained my education at the University of Pittsburgh on a football scholarship where I was captain of the 1965 Pitt football team. In 1969 I graduated and pursued my Doctorate in Dental Medicine. 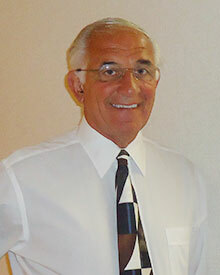 In 1971 I went on to specialize in orthodontics receiving my Orthodontic Masters of Science in Dentistry degree in 1974. I continue my education on a consistent basis, staying current with leading-edge technology and techniques, such as the Damon® System and the treatment of Tempromandibular Joint Disorder (TMD). 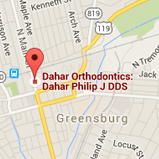 Having the privilege of treating several generations of patients, I am extremely proud of how Dahar Orthodontics continues to gain a powerful reputation for professionalism, attention to detail, and the loving care we give to each and every patient. I am very pleased that my family has followed in the dental field. 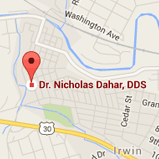 My oldest son, Nick also chose the orthodontic field and joined me as my associate in 2006. In addition, my daughter Sara, a Dental Hygienist, helps manage our three offices. My youngest son, Matthew graduated from dental school in June 2012 and will be specializing in pediatric dentistry. Aside from my great love for my profession, I enjoy golf, golf, and more golf! I am dedicated to staying healthy and remaining involved in my family’s lives, especially my beautiful grandchildren. I also take pride in supporting many charities, schools, and community programs through donations and activities.